If you have corrupted Icreate USB flash drive ,you can repair it now with Icreate I5062 ZD format tool V2.20.Icreate I5062 ZD recovery tool can fix and update firmware of Icreate I5060 and Icreate I5062 chip controller . Do you want to fix your corrupted USB flash disk that have format problems .Today i will give you a solution for USB flash drives that have Icreate I5062 ZD and Icreate I5060 chip controller .Icreate I5062 ZD format tool V2.20 is designed to repair and update Icreate I5062 ZD firmware . How to update Icreate I5062 ZD firmware ? Download Icreate I5062 ZD format tool V2.20 from download links below then extract zipped folder. Insert your damaged flash disk to your computer . 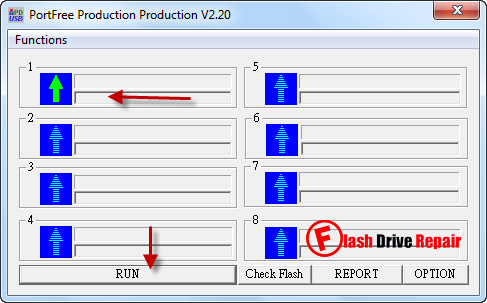 Open i5062-i5060_v220.exe file , if your flash drive is supported , you will see your flash drive information appears on the program interface . To update Icreate I5062 ZD firmware click on RUN . Wait until reformat flash drive .